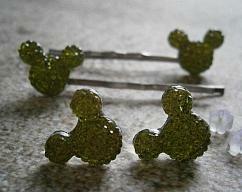 Cute bobby pin set for the little girl in your life! 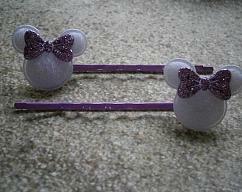 Padded Felt Mickey Mouse shape with furry feel and a shiny purple bow! 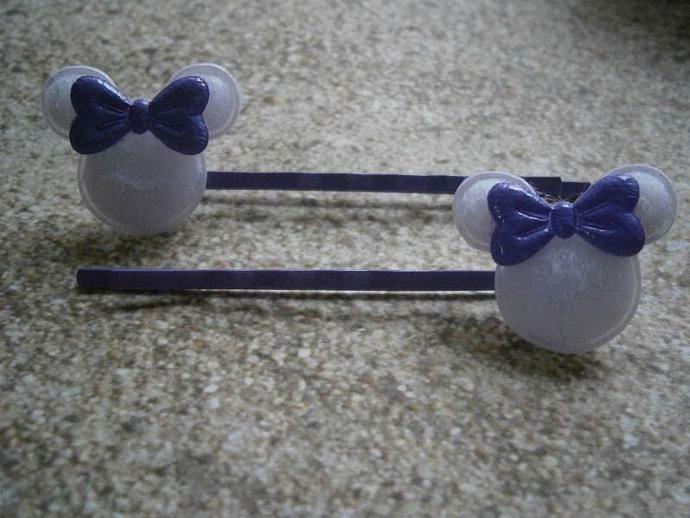 Securely attached to lavender colorized high quality bobby pins. 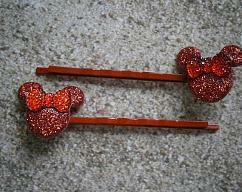 These completed bobby pins measure approx 2.5" in length, and Mouse shape is 7/8" x 7/8". -♥-Colors may vary slightly due to different monitors and color settings. 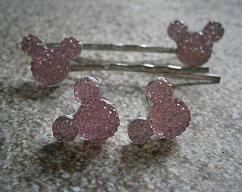 -♥-Questions should be asked BEFORE purchasing the items. -♥-All Items shipped with Tracking numbers!